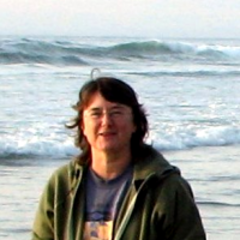 Join Sue in support of Help Complete the Campaign for Rainier Beach Urban Farm & Wetlands! What’s the story behind the farm? In 2008 the parks department decided to shut down a city nursery in the Rainier Beach neighborhood. Neighbors were asked to dream about what they’d like to see where the nursery once stood. Urban farm was the consensus, and the idea took root. Today the 8 acre farm property is still owned by the Parks Department and managed by Seattle Tilth and the Friends of Rainier Beach Urban Farm and Wetlands. The farm has served more than 5,000 community meals from the farm kitchen and provided more than 17,000 hours of training and classes to schoolchildren and seniors. Rainier Beach Urban Farm & Wetlands is located between Beer Sheva Park and Pritchard Island Beach Park off 55th Ave S and S Cloverdale St.
Where does my donation go? What does it support? Your donation will be directed to Seattle Parks Foundation for The Campaign for Rainier Beach Urban Farm & Wetlands. Your donation will help to pay for the materials, furnishings and construction needed to transform the farm into an environmental and urban agriculture education center. Your contribution is tax-deductible. What will the farm look like when the project is done? Looking for the Uptown Parklet page? Click here. Rainier Beach Urban Farm and Wetlands needs your help! Food brings people together. 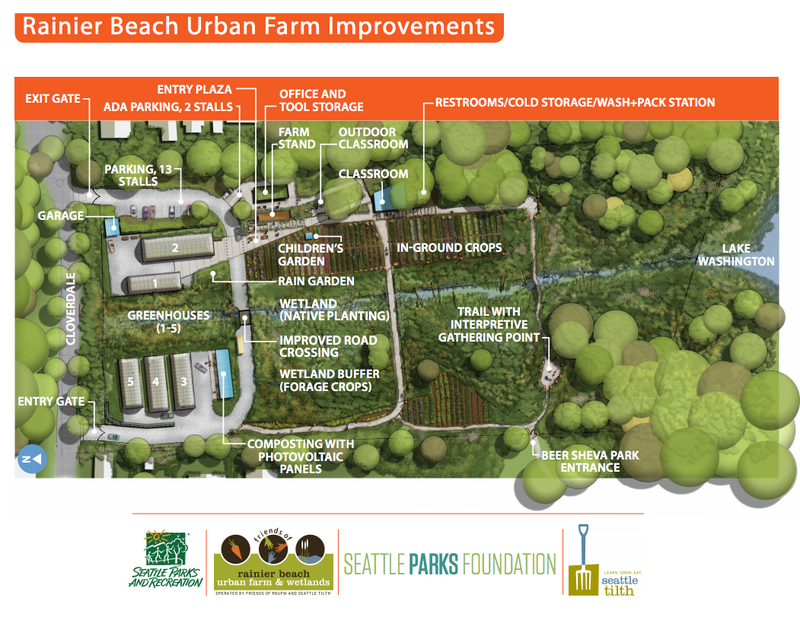 I am excited that the campaign to expand Rainier Beach Urban Farm & Wetlands is nearly complete as it continues to connect our neighbors in South Seattle. I hope you will join me in supporting the campaign by making a donation today. Your gift of any size will bring long awaited improvements to Seattle’s largest sustainable urban farm and education center. The goal of the farm is not only to be a leader in the city’s urban farm movement, but also to ensure that our neighbors have access to fresh and affordable organic food. A few years ago, a community survey found that people in the Rainier Valley, more than anything else, simply wanted sufficient access to healthy food. That’s what this farm is about–providing access to healthy food, as well as access to healthy choices and to learning how to grow food. If you haven’t had a chance to visit the farm you should come soon. And I hope you will make a gift today to help us complete the campaign! Seattle Parks Foundation is a nonprofit organization dedicated to advocating and raising funds for community-led public space projects. In partnership with donors, civic and neighborhood groups, government agencies, and colleague institutions, we work to support a shared vision of a city connected through great parks, trails, and natural areas. Tell Sue why you this cause!